Twice Loved Vintage: Foot Candy! Though I don’t think Carrie Bradshaw started our shoe obsession, she certainly made us less ashamed to admit a pair of Manolo Blahniks would totally be worth the $1000 if we had it! 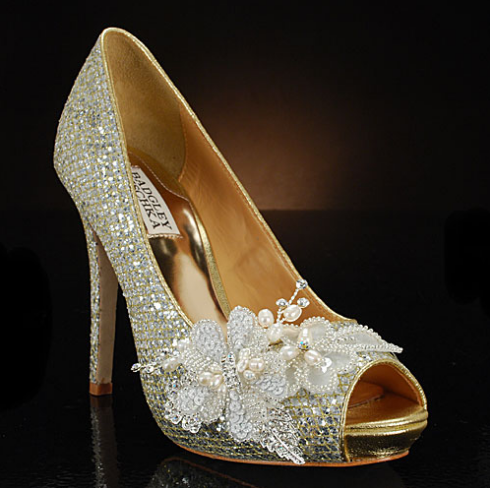 Despite the fact your shoes will most likely be hidden under yards of white satin, many women love the idea of having their feet dressed as glamorously as the rest of their silhouette. Now I realize Payless is not the first place many people think of when it comes to high fashion, but for weddings their selection is surprisingly diverse! 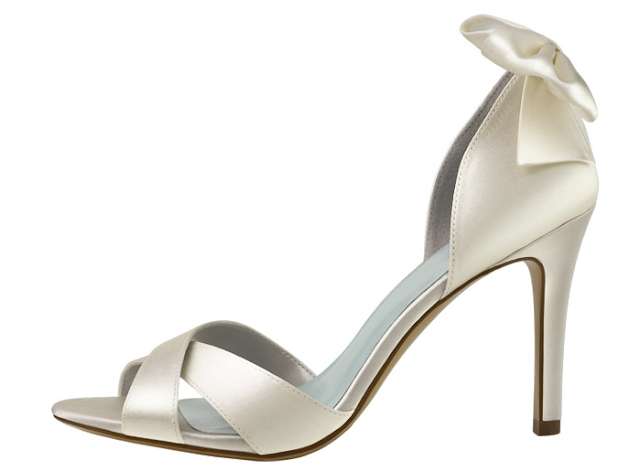 With the help of fashion designer Lela Rose, Payless has created a line of women’s satin bridal shoes that come in 15 styles and 64 colors – not to mention, they’re all under $50! With variety and prices like that you can afford to pick a pair for yourself… and the bridesmaids and the flower girls and - well, you get my point! If you’re willing to shell out a little extra cash, you might want to check out this website. My Glass Slipper features mainstream designer shoes and categorizes them so specifically you’re bound to find whatever it is you’re looking for in no time! Want a pair of mid-height heels with a peep-toe and rhinestones in dark plum? You’re just a search away from finding your perfect pair of Kate Spade pumps!